In the Gospel reading for Sunday, August 19 (John 6:51-58), Jesus uses the word ‘flesh’ no less than five times. 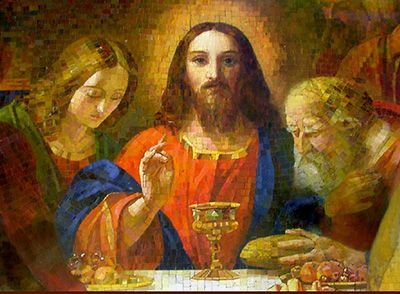 He had been talking about bread with those who sought after him following the miracle of the multiplication of the loaves and fishes. After stating that he is ‘the living bread’ from heaven, he then declares that this bread given for the life of the world is his flesh. And that wasn’t all. He then says that there is no life, either now or eternally, unless a person eats his flesh. And the congregation goes, yuch! To put it this way, Jesus is the Word of God ‘in the flesh’, and unless a believer consumes and is nourished by God’s Word, there is no hope for life of any kind. This is not about eating, it is about accepting Jesus into the heart, soul, mind, and actions of one’s life.